This blood curdling video shows suffering beyond what any person should ever have to endure. Each dolphin that dies behind the blue tarp is a mother, a father, a child, an infant. These pods of dolphins are communities of sea people. Within their highly social and complex framework these families live symbiotically with the oceans, and the earth. “Bottlenose dolphins have convincingly demonstrated that they use a mirror to investigate their own bodies, showing that they have a sense of self (Reiss and Mrino, 2001). These findings are consistent with further evidence for self-awareness and self-monitoring in dolphins and related cognitive abilities (see Marino et al, 2008, for a review). In particular, the highly elaborated cingulate and insular cortex in cetacean brains are consistent with the idea that these animals are highly sophisticated and sensitive in the emotional and social -emotional sophistication not achieved by other animals including humans. Surely the dolphin hunters have family and children. Why they cannot show the people of the sea mercy, why they will not recognize cetacean intelligence is a mystery to the world. Why they would rather murder, than explore the many lessons the people of the sea offer us as humans. 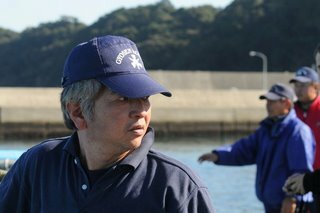 “One of Taiji’s excuses for killing dolphins is “pest control” – they claim the dolphins are eating all their fish. 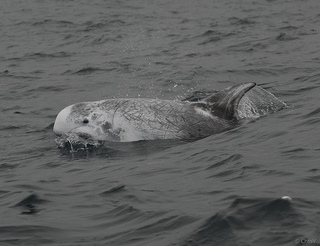 I’ll point out that Risso dolphins primarily hunt deep sea squid at night. The squid are so deep, it’s highly unlikely that Taiji’s fishermen would ever catch these squid in the first place. So, perhaps – they should consider what Risso dolphins actually eat before making these statements.”(Brian Barnes, 10/24/2011, FB). 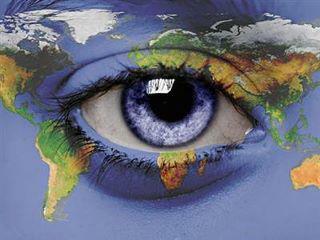 The dolphin hunters want to be understood by the world but all the world can see is a sea of blood. All the world can hear is the dolphins crying out for mercy as the hunters shove bamboo nails in their blow holes, while slowly severing their spinal cords. It makes us wonder why these men cannot see themselves through the worlds eyes. They know they are hated, they know the world sees them as monsters yet they continue murdering the people of the sea. As slaughter after slaughter goes on we the activists, the voice of the dolphins, will continue to document the atrocities of the Taiji dolphin hunters taking place in “The Cove” and we will broadcast to the world until public out cry forces the hunters to end the systematic slaughter of dolphins migrating past Taiji, Japan. Please join us as we fight to save the people of the sea before it’s too late. The links below all have take action links to help save the dolphins of Taiji. This entry was posted in Cetaceans, Dolphins and tagged cetaceans, Conservation, Dolphin, Japan, Martyn Stewart, risso dolphins, taiji, the Cove by Kirsten Massebeau. Bookmark the permalink. We are going to continue to fight using Gaiatsu outside pressure until something changes. Continue to make you calls. And when buying Japanese support “We are Free” products supporting not exploiting dolphins. Thank you, Kirsten, for documenting the horror that continued yesterday in Taiji.